One of the newer courses on the Costa del Sol, Almenara is fast-becoming a popular venue. Located within the Sotogrande development, next to Valderrama, the course provides beautiful views of the Almenara countryside replete with pine and cork oak trees. 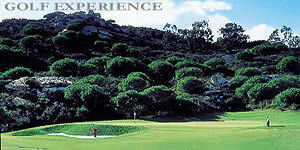 The Almenara Hotel and Golf Club has all the amenities of a luxury resort including a first class golf academy.